When traveling to South Cotabato or Koronadal City, there is no need to worry about finding a place to stay. There are hotels and accommodation establishments to choose from depending on your needs and budget. 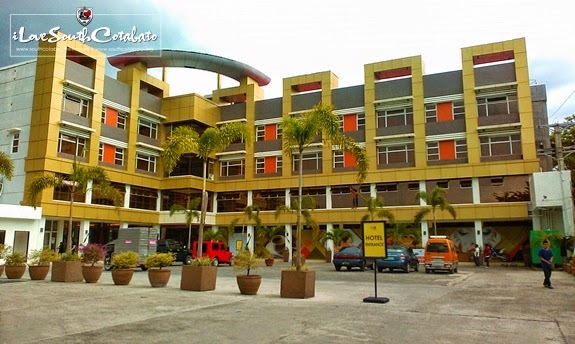 One of these is FB Hotel & Convention Center, a four-storey hotel located at Alunan Avenue in Koronadal City. It just opened last January but has already become one of the most recommended hotels in South Cotabato and the top choice of businessmen, celebrities and other tourists visiting the province. Here are photos taken inside FB Hotel & Convention Center last week. Chandeliers are all over. From the lobby, the hallways and its spacious grand ballroom. FB Hotel also has three (3) function rooms and a board room. Perfect for social or corporate events. Some of the features of the guest rooms at FB Hotel & Convention Center includes individually controlled airconditioning system, LCD Television with cable channels, Toilet & Bath with running hot and cold water, NDD/IDD Telephone thru PABX System, Hypo-allergenic pillows and linens, Enercon power switches, UV light resistant tinted view windows, etc. FB Hotel also have Executive Suite, Family Suite and a Presidential Suite. FB Hotel & Convention Center also has a restaurant called Benlyn Cafe.